Having been brought up in a family that values home-made food and hard work, l simply cannot imagine a big holiday or celebration without lots of preparation in advance. Everybody gets to help a bit, and l think everything tastes amazing on the big day just because you know how much you worked for it. And the reward always exceeds everyone’s expectations. It’s all that excitement and rush that gets you into the holiday spirit. Yes, buying ready-made stuff is fuss free and effortless, but a kitchen filled with the lovely aroma of the freshly-baked goodies is priceless. I become a child again every time l get to bake family-favourite cookies. 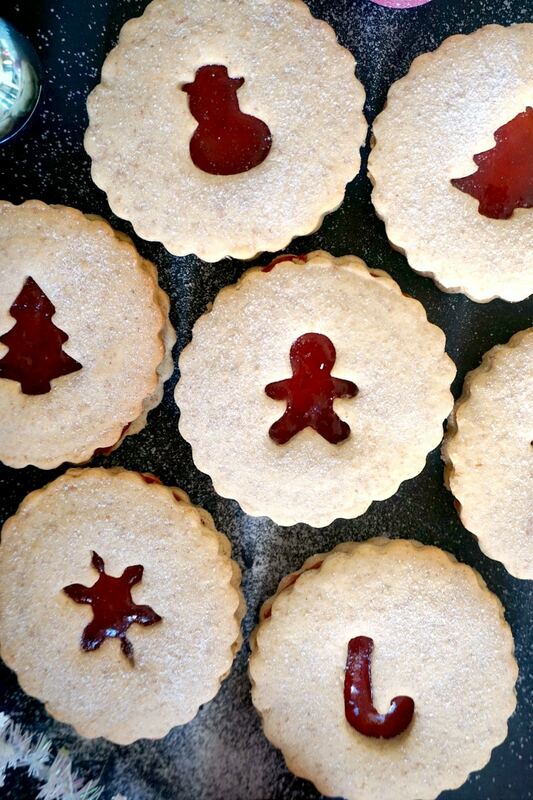 And what’s better than some soft linzer cookies that simply melt in your mouth? And what cookies, hey! Super duper easy, and you probably have all the ingredients in your kitchen already, so why not give them a try? Any jam can be used, I quite like the strawberry one, but anything else works. If you happen to have powdered vanilla sugar to dust them with, amazing! It really takes the cookies to the very next level. Oh, yum! 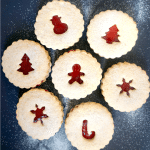 These easy linzer cookies are so beautifully moist, and flavourful, few cookies have such a delicate aroma that really makes me have one too many cookies. They really are a great choice for Christmas, kids would definitely love them, and that’s worth buying christmas cookie cutters. And not only kids, I can already see the grown-ups feasting themselves from these yummy cookies. And why not, Christmas is only once a year, we should be able to indulge without any feeling of guilt. The cookies can safely be stored in an air-tight container or a glass jar, they will keep nice and soft for at least two days, although I find it hard to believe they can last that long. Other popular choices are rounds or heart shapes, but it is entirely up to you which one you prefer. Kids would absolutely love to give a helping hand, no doubt about it. I know they are messy, and your kithchen will probably end up being a disaster, but never mind, it’s great fun. 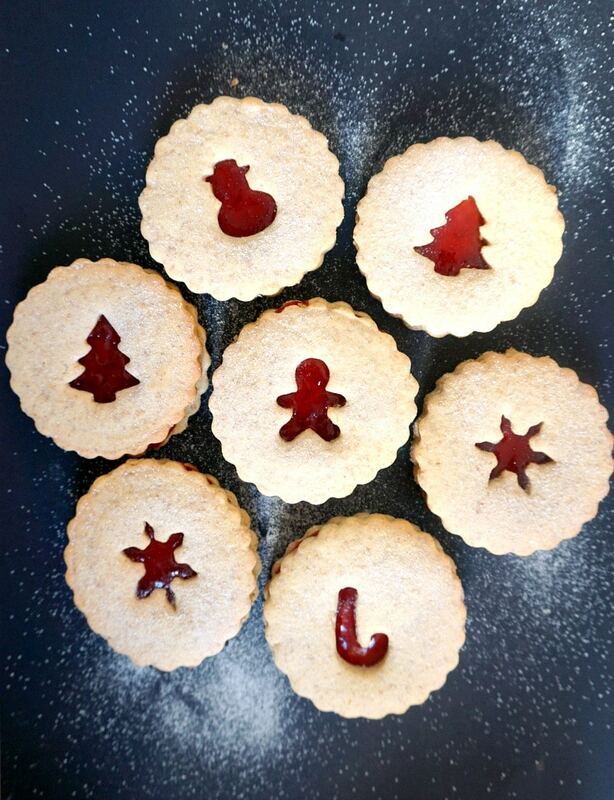 If you’ve liked these CHRISTMAS LINZER COOKIES or any other recipe on the blog, then don’t forget to rate the recipe and let me know how you got on in the comments below, I love hearing from you! You can also FOLLOW ME on FACEBOOK, and PINTEREST to see more delicious food and what I’m getting up to. In a large bowl, sift the flour, add the powder sugar, baking powder and salt. Cut the butter into cubes and add it to the bowl, rubbing it with your fingertips until the flour mixture resembles breadcrumbs. Add the egg, egg yolks, and vanilla extract and gently knead the dough. 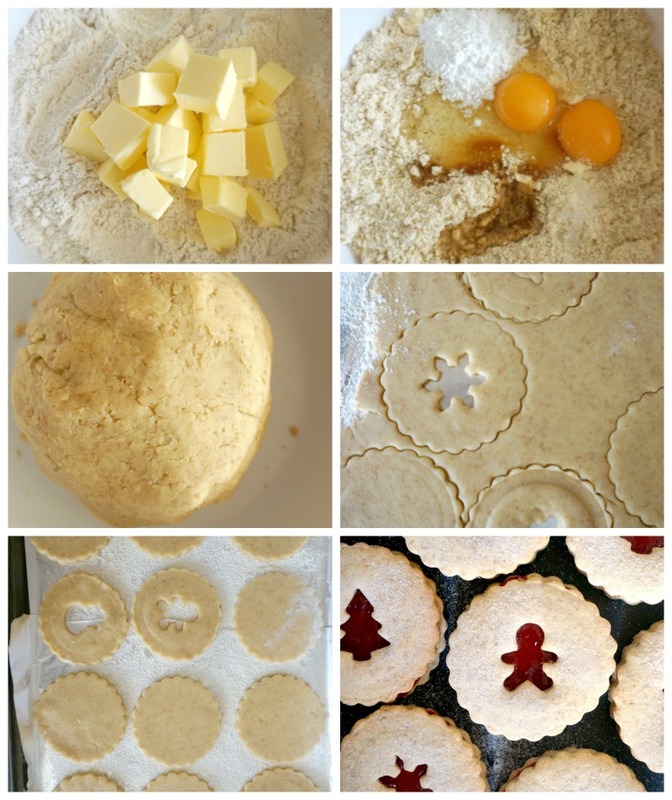 Cut the dough in half, roll the first half with a rolling pin and use the cookie cutters of your choice. 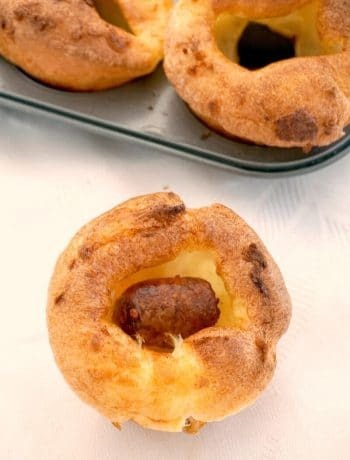 Arrange them on a baking tray lined with non-stick paper and bake for approximately 10 minutes until the edges are slightly golden. Allow to cool for 5 minutes, then remove from the tray. 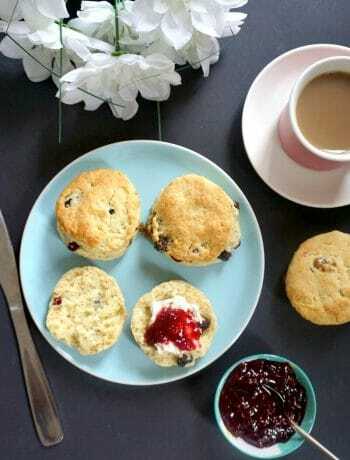 Once the cookies have cooled down, spread a teaspoon of jam on the round side and sandwich it together with the other side that has the hole in the middle. Arrange on a plate and dust the cookies with powdered vanilla sugar.